We’ve covered several How-To guides with step-by-step instructions to convert your Non-Yakju Galaxy Nexus to Yakju or Takju firmware, so as to get latest software updates directly from Google, instead of Samsung who delays the OTA updates for Non-yakju devices (yakjuxw, yakjuux, yakjusc, yakjuzs, yakjudv, yakjukr and yakjujp) by several weeks. Refer post: Check if your Galaxy Nexus is updated by Google or Samsung? If you’ve earlier changed your Galaxy Nexus from Non-Yakju to Yakju/Takju using one of our guides but still haven’t received the latest Android 4.2.2 OTA update yet, then here is an easy workaround to get the 4.2.2 update without going through any sort of technical stuff. 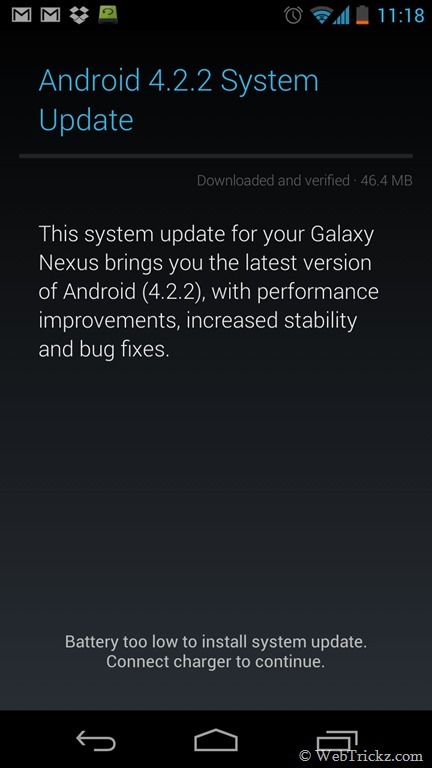 The method involves forcing your Galaxy Nexus to check for the latest software update, provided the update is being officially rolled out by Google. This trick is not limited to 4.2.2 and thus should work with earlier or future updates as well. 1. Go to Settings > Apps > All. 2. Scroll down and select ‘Google Services Framework’. 3. 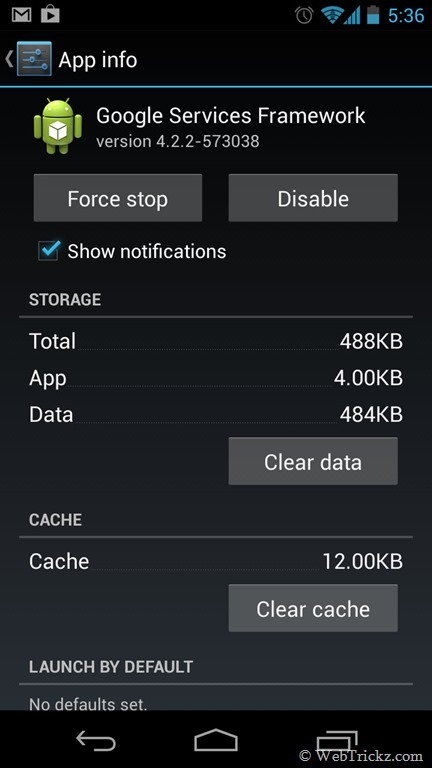 Tap on Clear data and select Ok to confirm, then tap on Force Stop and hit Ok.
4. Now reboot your phone. A system update should then appear while your device is connected to Internet. Or check for the update manually from (Settings > About phone > System updates > Check now). Note: The update might not appear on first attempt, so keeping trying at frequent intervals.